The B is for Both. Both city and suburbs rejoiced. 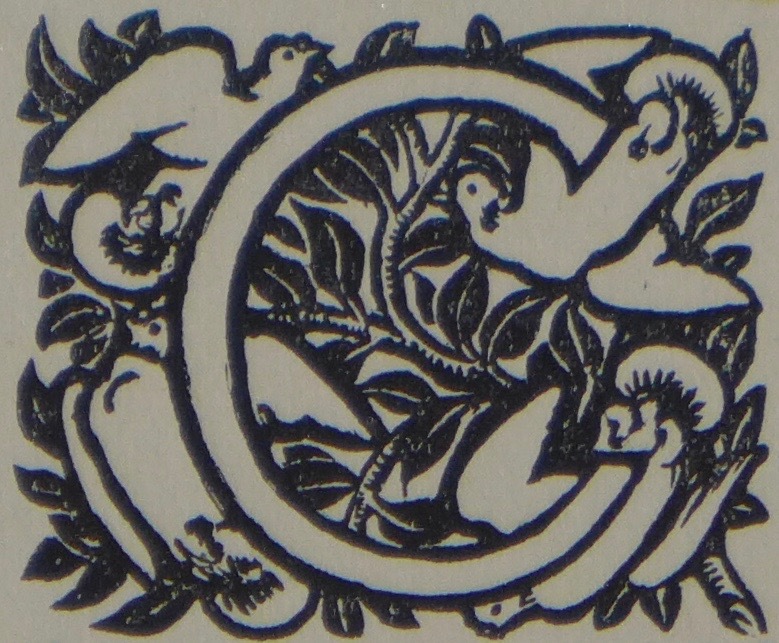 The second number of The Dial appeared in February 1892, and, unlike the first issue of 1889, it didn't contain large illustrated initials, but smaller and more simple decorated initials. 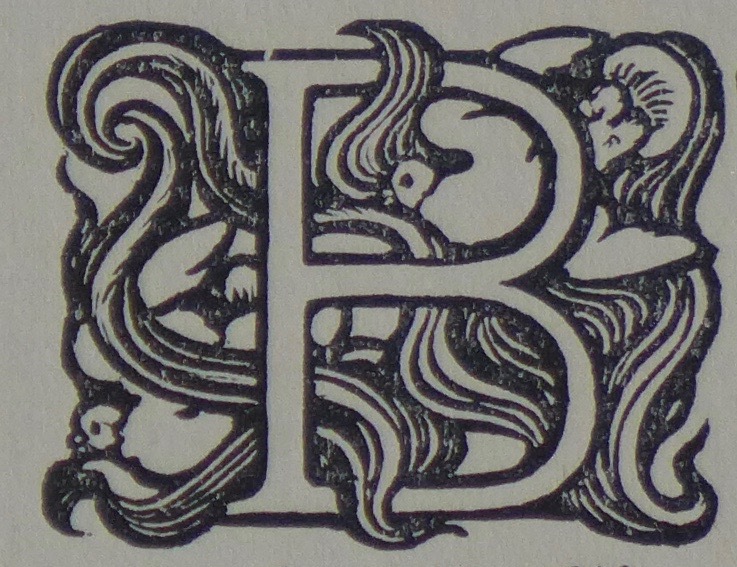 The initial 'B' decorated the first sentence of a story by Charles Ricketts, 'The Marred Face', about a Chinese queen, and the head of her former lover, Chang Tei. His house is burnt down, and after his torture and decapitation, his head is taken by a beggar, who tosses it in the lap of the queen. She holds on to it for years, until her palace is rioted, and burned to the ground as well. To the left of the page was an illustration of the queen holding the scull in front of a mirror. 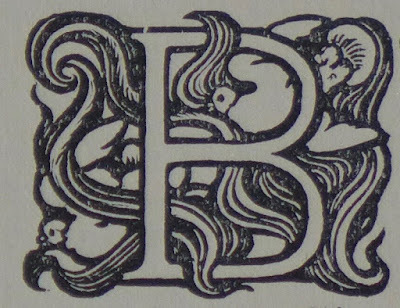 This initial is part of an incomplete alphabet, comprising only of 'B', 'C' and 'G', all decorated with doves and winding lines. 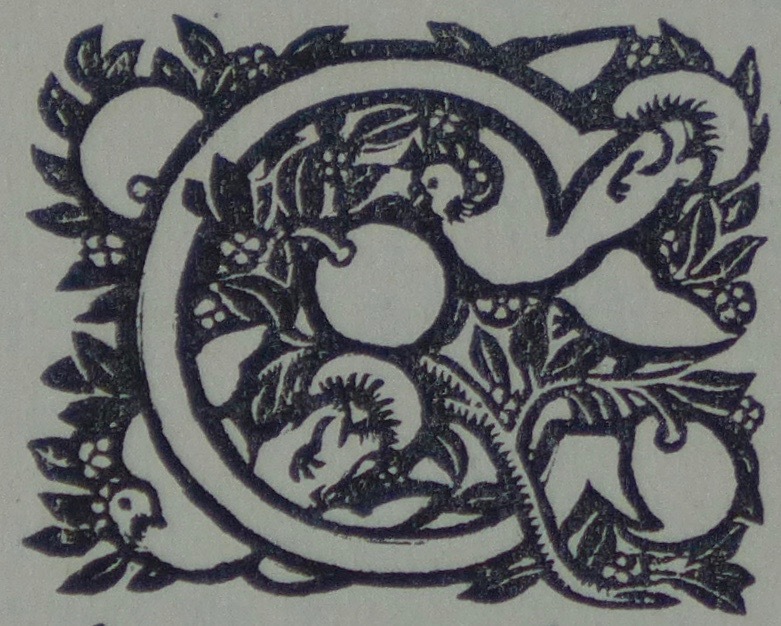 The poems in The Dial nor the art notes were decorated with such initials. These were reserved for the prose contributions. 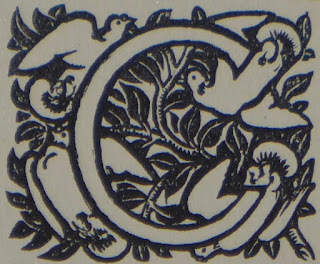 There are slight differences in decoration though, the 'C' was adorned with doves and branches, while the 'G' had berries as well. The piece on 'Maurice de Guérin', the French author, and 'King Comfort', a story, were both written by T. Sturge Moore. Apart from the initials, they were decorated with headpieces. 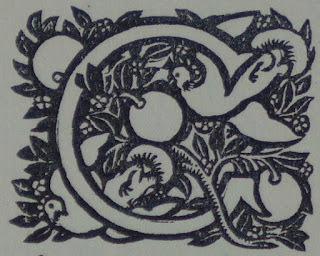 There was a fourth initial in this issue of The Dial, decorating a defense of the first number of the magazine against its critics, written by Ricketts. 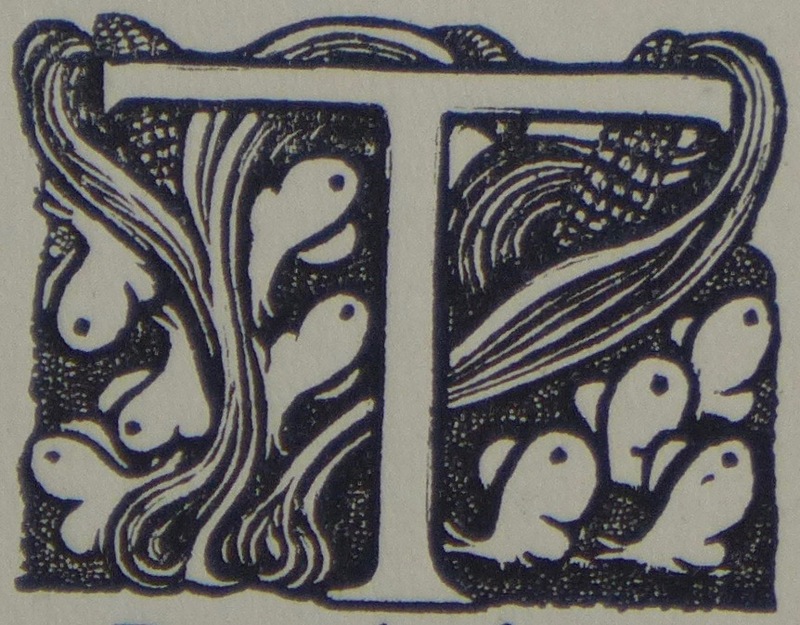 This initial 'T' was decorated with fishes and waves. 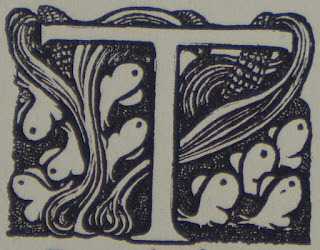 These initials were not used again, excepting the 'T' that reappeared in an invitation for a private view of the Society of Medalists in the Dutch Gallery six years later.